The firm has consistently remained at the top of the Ukrainian legal market throughout its history, being acknowledged as the Law Firm of the Decade by Ukraine’s Legal Awards 2016. 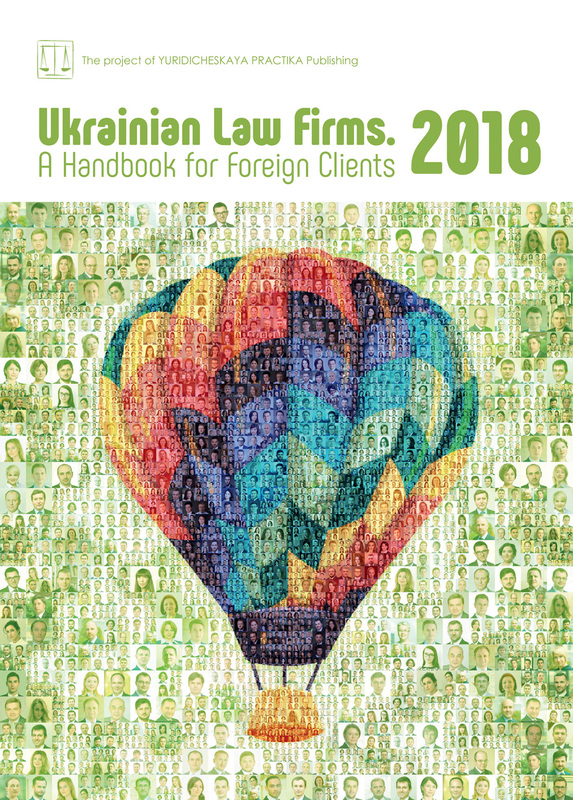 The firm is also the two-time winner of the Law Firm of the Year: Ukraine and the CIS award (The Lawyer European Awards 2014 and 2015) and occupies top positions in the most authoritative international and Ukrainian market reviews: The Legal 500, Chambers Global and Chambers Europe, IFLR 1000, Who’s Who Legal, Best Lawyers, Expert Guides, and Top 50 Law Firms Annual National Ranking. Asters offers a full range of legal services and maintains a high reputation for its expertise in a wide array of practices, such as banking and finance, capital markets, corporate and M&A, competition and antitrust, dispute resolution, energy and resources, environment, family law, intellectual property, international trade, labor and employment, real estate, restructuring and insolvency, taxation, telecommunications, and white-collar crime. The firm also has extensive industry-specific experience and plays a leading role in advising clients in various market sectors. Shell, Coca-Cola, Philip Morris, L’Oreal Ukraine, GlaxoSmithKline, The Boeing Company, Siemens AG, S.C. Johnson & Son, Nokia Corporation, Sopharma, General Electric Energy, Glencore International AG, Deer & Co, Kodak Health Group, ED & F Man, Marathon Oil, News Corp., Nissan Motor, Novartis AG, Telenor, Thyssen Krupp Elevator, as well as many other multinational corporations and major local companies are clients for which Asters’ attorneys regularly handle a variety of complex matters and the biggest transactions. Asters is an exclusive Ukrainian member of professional networks such as World Services Group, L2B Aviation, Biolegis, Legalink and Energy Law Group, and is a long-standing member, both at corporate and individual level, of numerous professional associations, chambers of commerce, business associations, and international and local bar associations. The firm’s 150-strong staff offers clients a mix of deep local awareness and substantial international experience. Asters’ lawyers earned law degrees at the best European, Ukrainian and US law schools, including Yale, Harvard, Chicago, and California University. In 2017 Asters was recognized among the three best employers in the legal sphere in Ukraine according to research undertaken by the weekly magazine Focus. Asters’ corporate social responsibility strategy is aimed at providing valuable input to the development of Ukraine. The EBA-Asters Legal School, a unique free of charge platform for Ukrainian legal practitioners to share their experience and best practices in legal support and protection of business, and ArtAsters, a non-profit project, launched in 2009 in order to benefit Ukrainian artists and create additional opportunities for them to display their work, are Asters flagship CSR projects. Today, people do not treat international marriages as something exotic, rather quite a common thing. Foreign men choosing Ukrainian women as spouses tend to be increasingly interested in governing the property interests with a marriage contract. Where the foreigner also decides to purchase some assets or join some business in Ukraine, such an instrument of protection of interests must be viewed with special care. The background of such precautions is clear. First, in numerous jurisdictions execution of a marriage contract is part of a standard to-do list, having no negative connotation of mistrust, as it is in the post-soviet countries. Second, the marriage contract allows the hedging of capital from any third party interference, as well as to defend and ease one’s business operation. Third, you no longer need to worry about any hypothetical property dispute settlement by Ukrainian courts, whose outcome is merely predictable. Among other things, the true advantage is the marriage contract drafting and notarization budget, it lagging far behind the one charged in many other countries. There is a separate chapter in the Family Code of Ukraine governing the marriage contract. In particular, it defines the list of subjects qualified to enter into a marriage contract, the contract contents, form, amendments and termination procedure, and the other material aspects thereof. verned by other contractual mechanisms. A statutory notary form is provided for the marriage contract. One may apply to any notary in Ukraine, either public or private one, to notarize such a contract. Such covenant shall not be binding should the spouses agree the contract terms in verbal form or in plain written form. If either party does not speak Ukrainian, the contract is executed in bilingual form (the most common form is Ukrainian and English texts, although the instrument may be translated into any other language). The contract execution procedure may be attended by a qualified interpreter/translator who has the relevant diploma. The latter certifies the translation as being true with his/her signature. As a rule, stipulated by family law, each and any item purchased within a marriage is deemed an object of the joint property (so-called presumption of joint property). Such terms, i.e., the statutory ones, shall apply automatically upon registration of marriage, once no marriage contract is executed. The terms of the spouses’ joint property means that the spouses enjoy equal rights to the property gained within the marriage, i.e., use, own and dispose of property subject to mutual consent, and regardless of the individual spouse’s contribution to the acquired property. As part of the marriage contract, the parties may amend the statutory terms of joint property and stipulate for all the property and certain kinds thereof the terms which better meet the property interests thereof for the period of marriage and possible dissolution thereof. The subject of the marriage contract may cover any property, either available or to be purchased in the future, and sometimes, the property of each spouse, purchased prior to the marriage registration (e.g., to the extent of use of accommodation owned by either spouse, the other spouse and relatives thereof). It is most common that the parties rely on their complete financial independence and agree to treat all the property, as well as the results and revenues from such property, as the private property of the party registered as the property purchaser and/or holder. Once a marriage contract is earmarked for protecting the business interests of one or both spouses, it might be reasonable to factorize the aspects of the business activities, leaving all the other property purchased in the family’s interests as joint property. Moreover, the marriage contract may govern the property rights and obligations of spouses with respect to the children, and the common support, both for the marriage period and for possible termination thereof. For example, the spouses may agree that a spouse giving up one’s occupation in the interests of the family will, should the marriage be terminated, receive an allowance from the other spouse to restore the occupation within a certain period. The marriage contract may stipulate property “safety nets” should either spouse suffer temporary disability. For example, the husband’s obligation to support his wife during maternity leave. This list of property interests of the spouses governed by a marriage contract is not exhaustive. The law allows incorporation into the marriage contract of any other provisions governing the property’s legal status at one’s own discretion, provided that the same do not conflict with the moral principles present in society. Particularly, the marriage contract may imply an option of executing valuable related deeds (including those covering real estate, proprietary intellectual property rights and corporate rights) without the notarized consent of the other spouse. Moreover, it is possible to hedge the risk of acknowledging as joint property one of the spouse’s personal properties, whose value rises significantly in the course of the marriage (e.g., as a result of overhaul, reconstruction, re-equipment, etc.) due to the contributing of joint funds or labor efforts. The debt burden may be agreed as well: who, when and under what circumstances bears liability under personal and joint obligations, which property may be subject to a penalty, etc. In this context, it is worth mentioning that under the laws of Ukraine no obligation exists to notify any lenders of money of the marriage contract’s execution and its terms, nor is there any open register. Therefore, one should be extremely careful to avoid any further creditors’ claims seeking invalidation of the marriage contract, as ones aimed at avoiding obligations that have been undertaken. However, a correctly drafted marriage contract may ensure the family is not harmed by any penalties under the property obligations of either spouse. A marriage contract can undoubtedly be used as a rather flexible and effective method for securing the property rights and interests of spouses. However, the freedom of contract principle is not absolute and is limited by binding rules, which may be amended by the parties at their own discretion. Unlike certain European states, the USA and Canada, under the laws of Ukraine a marriage contract may solely govern property interests. Such agreement may not cover any non-property personal interests. Furthermore, the marriage contract may not restrict a child’s rights beyond those stipulated by family laws (e.g., approve the sum of alimony to be paid to be lower than the one set out by family laws). The marriage contract may not stipulate the handover to either spouse of the title to real estate and other property, the right to which is subject to state registration. That is, it is not equivalent to an agreement on alienation of property. Such agreement may not result in any extraordinary disadvantageous financial position for either spouse. Undoubtedly, the terms of a marriage contract should not equally defend either spouse’s interests, as it would rather deprive such contract of any practical sense. Such restriction is aimed at preventing extremities. For example, complete waiver by either spouse of its property. When drafting a marriage contract with a foreign element, one should always consider the specifics and comply with all the restrictions set out by the applicable laws of the second spouse’s country of citizenship, as well as the jurisdictions, in which such a contract may be hypothetically applied in the future (particularly in countries hosting property and any business operations). In such event, it would be reasonable to outsource a counsel having practice in the relevant states, in order to be advised of mandatory law rules, the option of acknowledging and applying in the relevant jurisdiction a marriage contract executed in Ukraine. It is safe to say that there is greater demand for marriage contracts, especially with regard to international marriages. This regulator of property relations is of especial interest for people who are big earners and are going to get married for the second time. A marriage contract is a kind of property code for a certain couple, defining in detail the property-related aspects of family life. Such a covenant is a flexible and efficient method to agree in advance on the property rights and obligations of the spouses in the marriage, being a civilized method of solving any property-related problems in the event of dissolution of marriage. Thus, this instrument is worth sharing with entrepreneurs, since it simplifies business processes, protects assets from dishonest encroachments and safeguards one’s family from possible penalties imposed on family property, as related to entrepreneurial obligations.